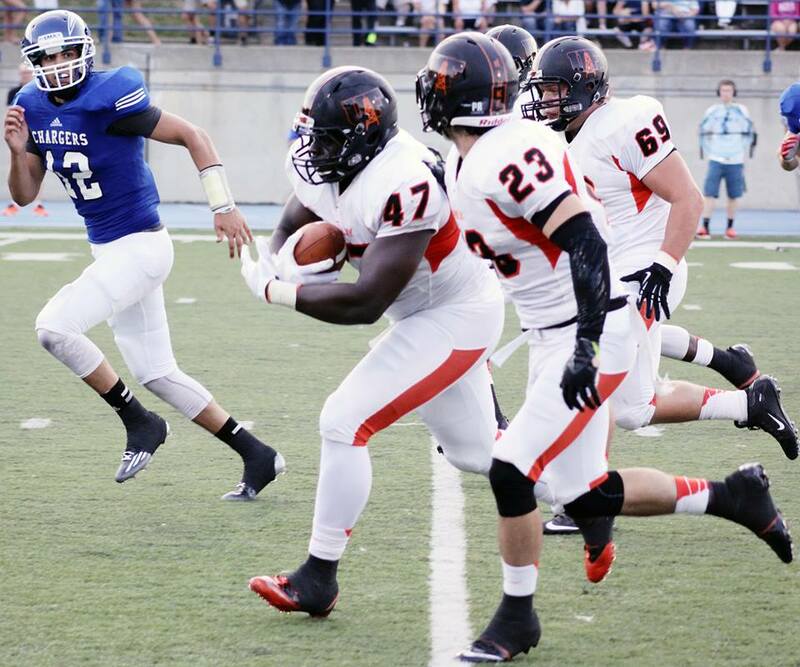 Hillsdale, MI – The University of Findlay football team traveled north on Saturday, September 5, and opened up their season with a 45-34 over Great Lakes Intercollegiate Athletic Conference (GLIAC) opponent Hillsdale College. The Oilers looked strong from the opening kick as the defense was able to force a three-and-out on the Chargers first possession of the contest, which gave the offense their first touch of the season. Sophomore Rhys Gervais was 4-for-4 passing in his first stint as quarterback for the Oilers and capped the 55-yard drive with a two-yard strike to sophomore tight end Anthony Federico. Findlay’s momentum carried to the ensuing possession when junior defensive end Johnny Hopkins scooped up a fumble and rumbled 17 yards for the touchdown, putting the Orange and Black ahead 14-0 after the first quarter of play. The scoring continued in the second quarter as sophomore running back Chauncey Bridges scored a pair of rushing touchdowns. Findlay headed to the locker room with a 28-10 lead.